Thomas Ahl will present his work to visitors on Saturday 21 July 2018 from 2 to 7.30 PM // Like all the artists taking part in the exhibition Ecole(s) suédoise(s) de Paris, he has agreed to answer our questions. © Thomas Ahl. The format of the visuals has been modified. Fundamentally self-taught, I have learned and am continually learning by working, observing and studying the work of others and the artists who inspire me. 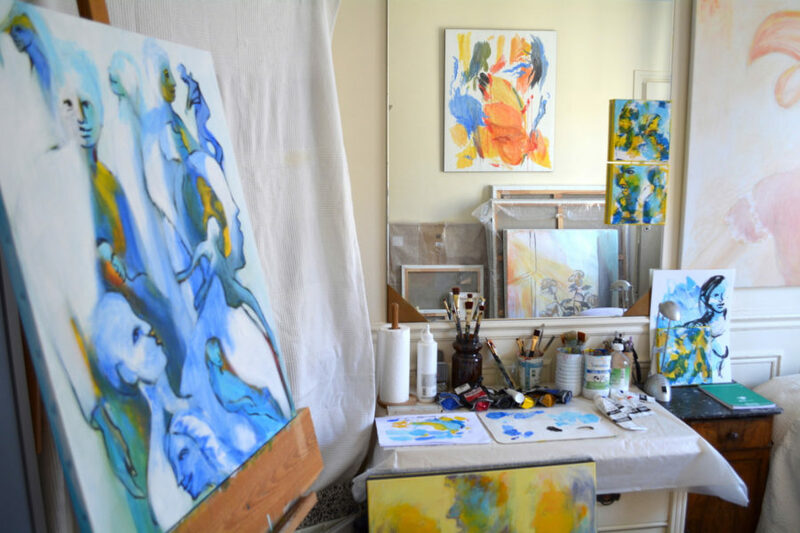 I trained through the years by taking courses and workshops held by professional artists. I then further improved and developed my work. When and why did you move to France? Originally for romantic reasons, and then later for the sake of art and savoir vivre. I am married with a French woman and we have both lived in Sweden and France together. I came to live in France in 1983 for my first stay which lasted a dozen of years. Then I came back to France in 2008 where I’ve been working and living since (and still with the same woman). It is an aesthetic country with its artists, writers and incredible history. It is a country with a luminous influence on the world concerning arts and fashion. There are always new things to discover in France. It is a heterogeneous country where people cultivate the difference and do not necessarily seek to be or do the same as others, rather the opposite. It is also a country with a multitude of facets, differences, a place where multiple lives are crossing each other. Sweden is a beautiful country with a special light, large spaces, with lots of lakes and forests. A country very well organized, with a lot of freedom of action where people live well. The country of my childhood with so many memories. What inspires you the most and where does your inspiration come from? What fascinates me are the people, their inner world that we can guess, the human relationships and the interrelationships between each of us. It is for me an endless questioning; all these faces met for a moment or those with whom I could share a moment of life, exchange something. Painting is for me a way to revisit the world. I am also inspired by beauty and aesthetics in general. The environment, as well as various forms of art are also part of my source of inspiration, where I take impressions, and different modes of expression from. I am primarily a colorist and a big part of my job is to look for harmony in the colors to translate what I feel. I then let myself be guided by the characters who come to life on the canvas, creating a new universe each time. I work with a limited range of colors rather than with a wide palette, looking for pure colors. I have this creative need to try to translate the world around us, to share my vision of people, vectors of emotions and actions.